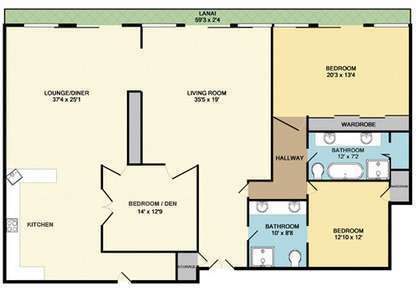 There are two bedrooms plus a den making this into a 3 bedroom Ilikai penthouse which the third bedroom can close off at night. The third bedroom has a sofa bed and and in the foyer there is an additional day bed. This unit can sleep up to 7 people comfortably. 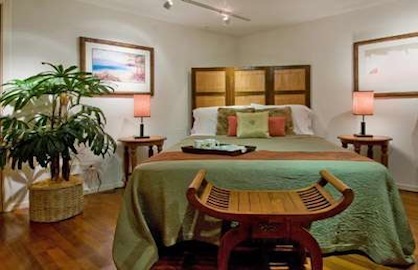 The expansive large master bedroom has a king bed while the 2nd interior bedroom has a queen bed. The unit has large HD LCD flat screen TVs, DVD, free wifi internet, and so much more. 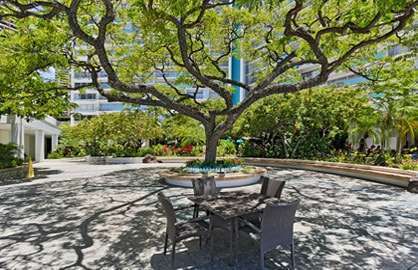 The condo has many ceiling fans throughout the condo along with a state of the art central air conditioning system so all rooms have AC but with the great seas breezes would not be needed most of the time. 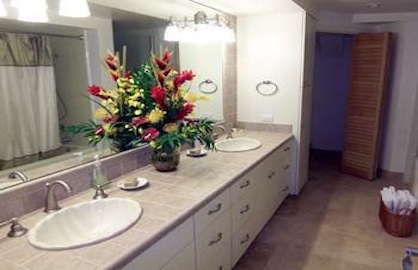 Penthouses including 2603 are the only units allowed at the Ilikai besides unit 1543 to have an in-suite laundry room. So off the master bathroom is a washer and dryer. And best of all, the incredible views of the ocean, lagoon, surfers and beautiful Hawaii that can't be topped. At over 2600sf, this is truly a one of a kind unit. There is a 4 night min. For earlier checkins, see our Early Check In Options. 11 a.m. 14.962% 4 nights 325.00 30% to reserve dates. Remainder due 30 days before arrival. 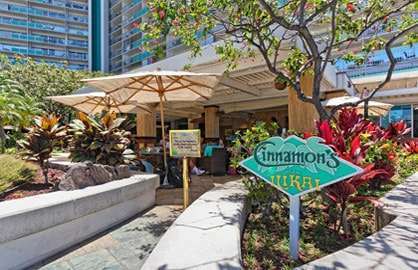 Ilikai 2603 - Excellent accommodation! The entire process from booking to departure was seamless. 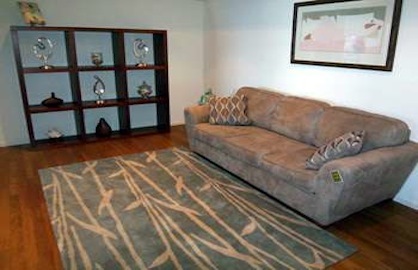 The quality and size of the condo was excellent and the location in Honolulu is extremely convenient. Our family of five were spoilt with the space. The fireworks right outside our Condo windows was a real bonus. We'll return without question. 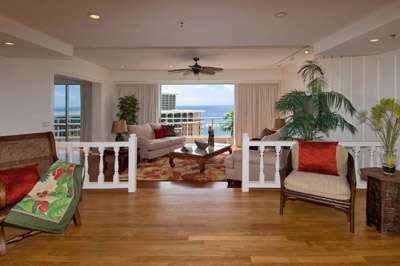 Ilikai 2603 - We loved staying in this condo. We were five adult women on a high school reunion and it catered for all our needs. The condo was spacious and well equipped. The view was spectacular. 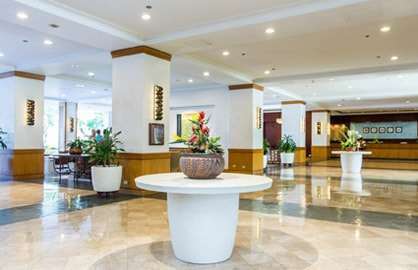 We appreciated the close proximity to the shops, beach and the casual stroll to all restaurants. Thank you from all of us. Here is to our next reunion. Aloha, we enjoyed our stay in the apartment (Ilikai 2603). Our needs were catered for nicely and a request for more beach towels was quickly dealt with. We would stay there again, regards DR Jane and Dr David. Ilikai 2603 was beautiful. This condo was perfect for our family of 7. The views were spectacular. The condo was decorated beautifully and it was very spacious. We were lucky as we saw fireworks from the Hilton two nights - the first night we arrived there was a Japanese wedding reception with fireworks and we also saw the traditional Hilton fireworks on Friday night. Yeah! 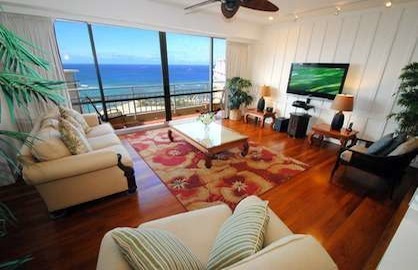 I would definitely recommend this condo for a family visiting Honolulu. 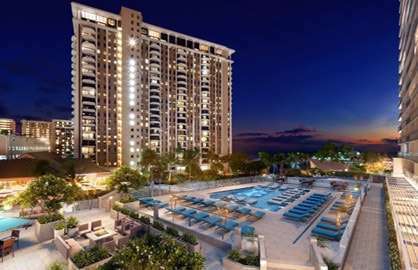 Ilikai 2603 - This unit is unreal, stayed there for 10 days in Jan 2015 ,have stayed in lots of hotels in Honolulu this was the best by far. 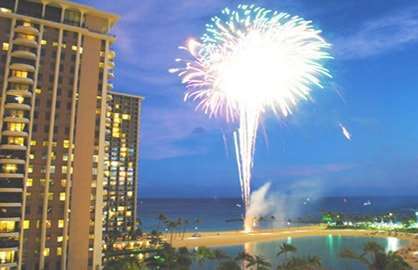 The Ilikai penthouse 2603 was great! 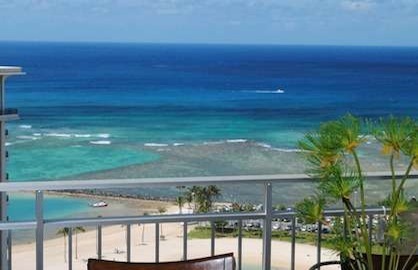 Amazing views of the ocean and overlooking the famous Duke Kahanamoku Lagoon. The lagoon and beach were just a couple of minutes away on foot. We had a group of 7 including kids and the condo had everything we could possibly need for our stay in Waikiki. The condo is immaculate and modern. It was perfect for our family vacation. 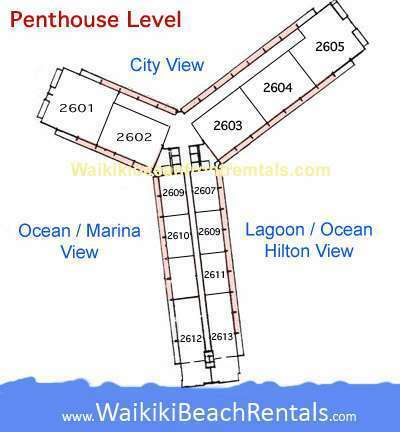 I would recommend this penthouse to anybody going to Hawaii. 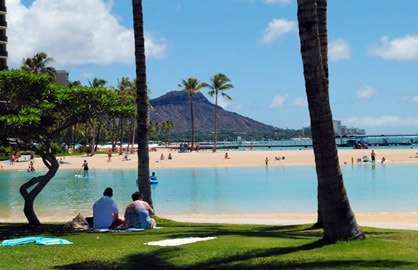 Had an amazing time while visiting Waikiki Beach. Your Ilikai Unit 2603 was awesome! The views were spectacular and the condo was HUGE! I was a bit concerned when I booked the unit completely on-line, but everything went very smoothly. The photos showed the unit exactly as it was. My only suggestion would be to check the unit for burned out lights....there were some in the living room areas. 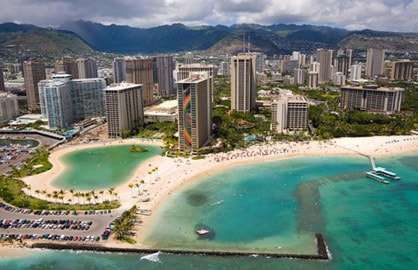 Mahalo to everyone who made this booking possible....Scott and of course the owner.....we hope to be back because it was so convenient to everything and so amazing! Thank you again! 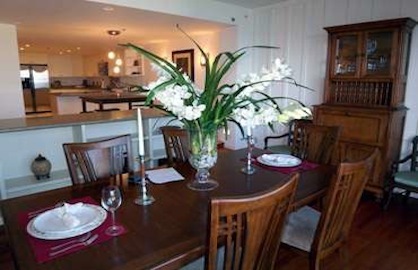 We really enjoyed staying at your beautiful condo Ilikai 2603. It had everything we could possibly want, very spacious and fabulous views. Our family had a wonderful holiday and will come back as soon as we can. We just got back from our trip to Hawaii and I must say that everything was awesome. 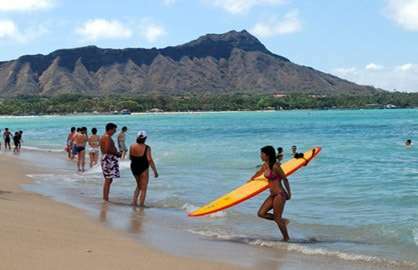 I admit that booking on line had me somewhat concerned without speaking with a “live” person on a trip as big as this, but EVERYTHING flowed without a hitch from booking on WaikikiBeachRentals.com! 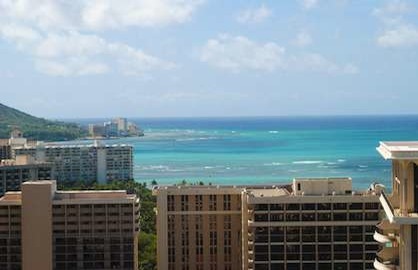 The Ilikai condo 2603 was exactly as advertised including the on line pictures and the views. Quite roomy for our party of 7, everything we needed and more. Staff of the hotel were friendly and helpful including the parking attendants, who never had us waiting more than a couple minutes to pull our car, which by the way, you do not need unless you are planning on travelling the island. Everything is within walking distance to make the trip enjoyable. My family was so impressed, we are making initial plans to return to the island and this condo next year! Thanks Guys for a great vacation! 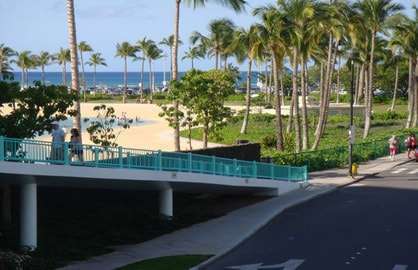 We had a fantastic time in Hawaii, our condo unit 2603 at the Ilikai was awesome, very spacious, neat and plenty of cupboard space. The view was amazing and we were lucky enough to see four lots of fireworks from our balcony during our stay. It was also in walking distance to major shopping centres. We will definitely come back and book this condo again. I have returned home from my stay at 2603 Ilikai. Our family couldn't stop talking about how perfect the condo was. We are so happy that we chose to stay here. The view, the accommodations, the convenience---all were beyond our expectations. I hope we will return. Thanks for your help. 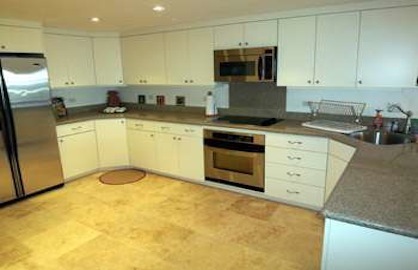 This apartment is immaculately presented and very spacious. Everything you need is provided. We had a large group in these apartments and there was plenty of room to entertain at nights in this apartment. Location is perfect, a nice stroll to shops. One of the best places I've stayed. Highly recommended, 3 couples could stay comfortably in this aprtment. Would love to stay here again! On behalf of my wife and I please accept our gratitude for the most amazing condo you have made available. We thought the views were spectacular and when we return to Hawaii we will be sure to book again. Thank you so much for this unit 2603. Our comments are: We all had plenty of room for sleeping, family fun and bonding, kitchen was excellant, beds were very comfortable, especially the pullout couch, excellantly situated for viewing the ocean, accessible to the beach, price was very fair, handy to allllllllllllll stores. We compliment you for providing everything that we had need of. The parking attendants were extremely courteous and ready at all times to bring the car to us and explain any route we needed to take to get to our destination. Unit 2603 is seriously amazing & breathtaking. The view is beautiful you almost don't want to leave the condo at all, it's comfortable and the unit provides everything you need. I cannot wait to stay there again which I most definitely will be booking again when I visit with my partner and family. Thank you again for the service and I look forward to coming to Hawaii and staying in unit 2603 over & over again!!! Thank you so much for arraigning our stay at the Ilikai! 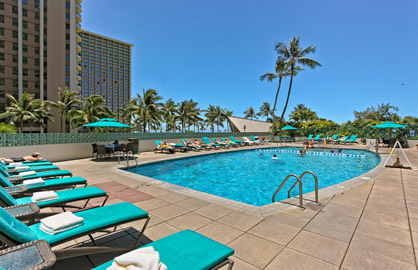 Our family really enjoyed our Hawaii vacation and the penthouse condo played a great part in making the time in Hawaii comfortable and relaxing. With our family of six, everyone had enough room to relax and have their own personal space. Everything was conveniently within walking distance (beach, shops, restaurants) from the condo. We loved that condo and will definitely comeback on our next trip. Mahalo and Aloha for now Hawaii. Our family misses you already. 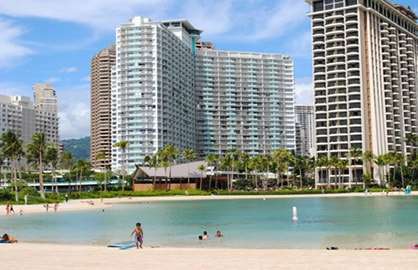 Hi, just wanted to let you know how much we enjoyed our stay, We were really delighted with the apartment at 1777 Ala Moana Blvd. The apartment was great, even better than the photos, spotless and very elegant. Arriving and getting in was a hassle free breeze which is important to us. The location is excellent for the beach, coffee in the morning and restaurants at night. AND the Ala Moana centre being walking distance was too much temptation for the girls!! 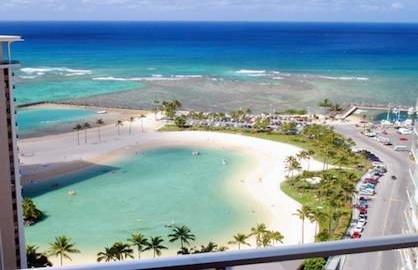 We go to Hawaii each year and we have stayed in some very nice hotels, but, after the apartment, we know which we prefer, hands down! There is so much more comfort, space and relaxation in the apartment. Thanks again and we will be in touch to stay for our next Hawaiian trip ! We loved our time in Hawaii! 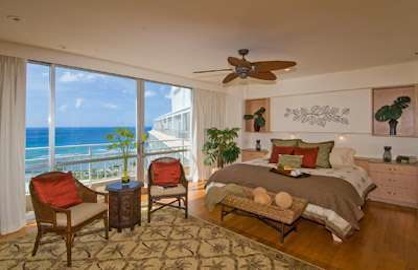 We stayed in unit 2603 of the Ilikai Resort Hotel and the unit exceeded our expectations. It was everything your website said it would be; we loved the roominess and the location and view were excellent. We had the added benefit of seeing the nightly outdoor Luau next door at the convention center. We hope to stay again and will certainly refer our friends. 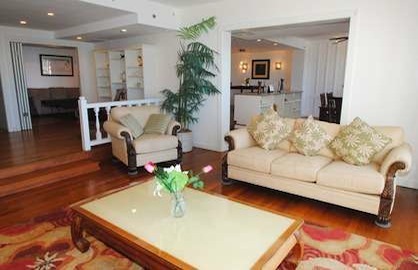 Ilikai unit 2603 is an exceptionally and beautifully cared for penthouse and our stay in this penthouse was wonderful! Our first impression when we walked in was that it was fresh, crisp, spacious and very much up to date. The unit was sparkly clean, superbly decorated and the beds were especially comfortable as well as all the linens and pillows that were provided. The kitchen was well stocked and also the laundry area with all the detergent we needed. 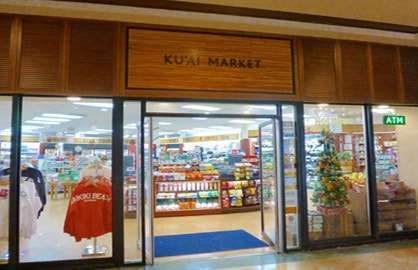 All that was needed was for us to do was pick up a few essential such as water, coffee, tea and cream and whatever food items we felt we wanted.We also enjoyed the use of Valet Parking at the Ilikai. They were always right there as soon as we pulled up to help us out. A rental car enabled us to see the rest of the island.It was great!!!!! Thank you for all your help in our leasing Unit 2603. We were very much at home and comfortable in this unit. We had a real grand time and will definitely boast about our stay in 2603!! !